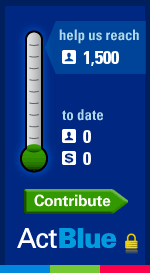 Over the past few months, we’ve already raised hundreds of thousands of dollars for some tremendous 2012 Democratic Senate candidates — including Elizabeth Warren, Sherrod Brown, Tammy Baldwin, and Maria Cantwell. Which Democratic Senate candidate should our PAC for a Change community support next? Cast your vote in our 2012 “Choose a Candidate” contest now! Our Democratic Senate candidates are going to need more help from us than ever. After all, groups like Karl Rove’s Crossroads GPS, the Koch Brothers, and other secret millionaires and billionaires are already pouring millions of dollars into TV ads attacking our Democratic candidates. We can’t let their deep pockets buy the outcome of November’s critical elections. That’s why we will feature the winner of this contest in a fundraising email to our entire online community, immediately adding thousands of dollars to the winner’s campaign war chest — resources that are essential to protecting our Democratic Senate majority in 2012 and beyond. So I need your input now: Who do you think PAC for a Change should support next? Click here to cast your vote in our “Choose a Candidate” contest — before the April 18 deadline! I founded PAC for a Change to help promote progressive values and policies in Congress, by electing Democratic candidates who will fight for our families and fight back against our extreme right-wing opponents. Today, it is not up to me to decide whom our community should support — the decision lies in your hands. Click here to vote for the Democratic Senate candidate we should support next — and then forward this email to all your friends and family who’d be interested in voting too!